Building businesses on our one stop logistics platform. Please enter your town and postcode in the search box above. Same day courier, overnight & international delivery plus fulfilment; we have tailor-made logistics solutions to fit your business. Express courier delivery for urgent and important consignments. Multi-carriers despatching parcels to pallets – domestic and international. Local storage and distribution for your online business. We are all about people, not just parcels. Social responsibility and Shared Success © is a big part of our mission here at diamond. diamond logistics partner with B1G1 in order to create a life-changing impact each and every day with micro giving embedded into our actions as a company. 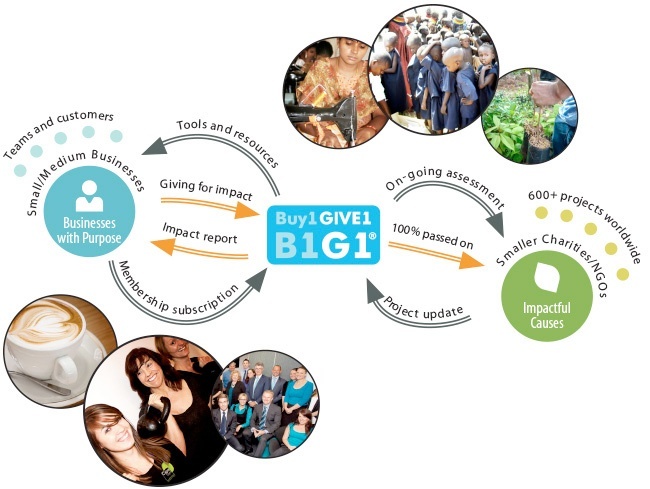 B1G1 is a Social Enterprise and non-profit organisation with a mission to create a world that’s full of giving. For every consignment delivered, network member who joins us, or new account signed up the global community benefits with a positive reaction going to B1G1’s members.